Earn 5 CE credits for reading volumes of the Advances in Psychotherapy book series. Click here to find out more! Social anxiety is characterized by excessive anxiety or discomfort in situations where a person might feel judged or evaluated by others, including performance situations (e.g., being the center of attention, public speaking, working under observation, playing sports or music in front of an audience) and situations involving interpersonal contact with others (e.g., making small talk, meeting new people, dating). According to large-scale epidemiological studies, social phobia is one of the most prevalent psychological disorders. Although prevalence estimates vary, recent studies suggest that approximately 7% of Americans suffer from this disorder. In addition to the high percentage of people with symptoms meeting criteria for this disorder, many other individuals experience social anxiety or shyness to a lesser, but still impairing degree. Social phobia is also a common comorbid condition, often diagnosed along with other anxiety disorders. Taken together, this information suggests that practitioners are likely to encounter patients displaying some degree of social anxiety, no matter what specialty service or setting they occupy. Although social anxiety is a widely encountered problem, there are few resources available to provide straightforward, accessible assessment and treatment information for practitioners. This book aims to fill that gap. Over the past 20 years, effective tools have been developed to identify and treat individuals with social anxiety. The current book provides up-to-date information on the diagnosis, identification, conceptualization, and treatment of social anxiety and social phobia. This book is aimed at practitioners who practice in a broad range of settings, from specialty clinics to general practice, as well as students. Existing books tend to focus on the psychopathology of social anxiety, address multiple disorders in one volume, or provide extensive and detailed protocols for treating this disorder. In contrast, this book is a more concise guide to identification and treatment that is accessible for the busy practitioner. 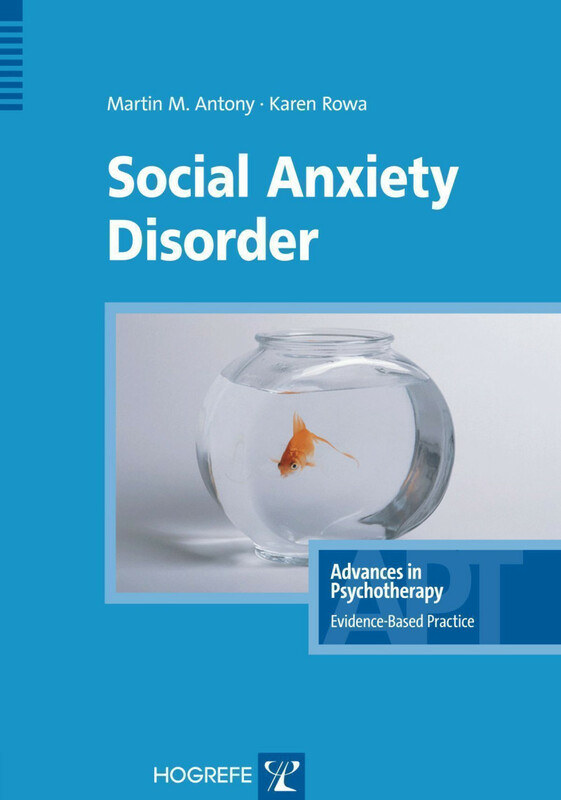 It focuses specifically on social phobia and social anxiety, making it an attractive reference book for professionals who require clear, easy to follow guidelines on treatments for social anxiety. "In sum, the text by Antony and Rowa provides a useful guide for clinicians to gain basic information on the nature and treatment of SAD. The text is an excellent addition to the library of any clinician and trainee."